In this post, we’ll take a look at how you can use the Messenger app by Shopify to sell products directly through Facebook Messenger, and enable store chats and notifications within the messaging app. 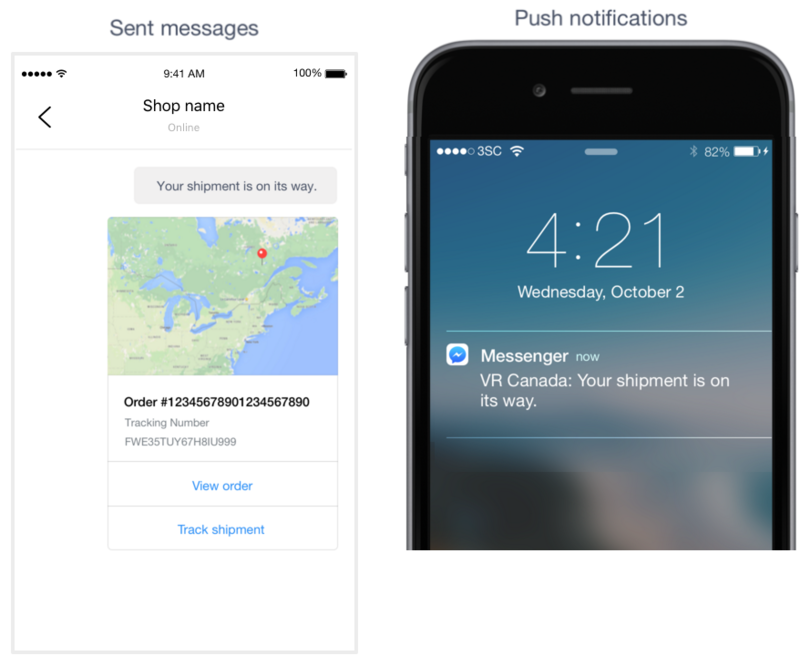 Messenger is a free app by Shopify that enables the Messenger sales channel for your store. You can also do the same by adding the Messenger sales channel through your Shopify dashboard. Once you “Get” the app, you will be asked to add Messenger as a sales channel. After you’ve added the channel, you will have to connect with your Facebook account and select the Facebook Page you want to connect with your store. 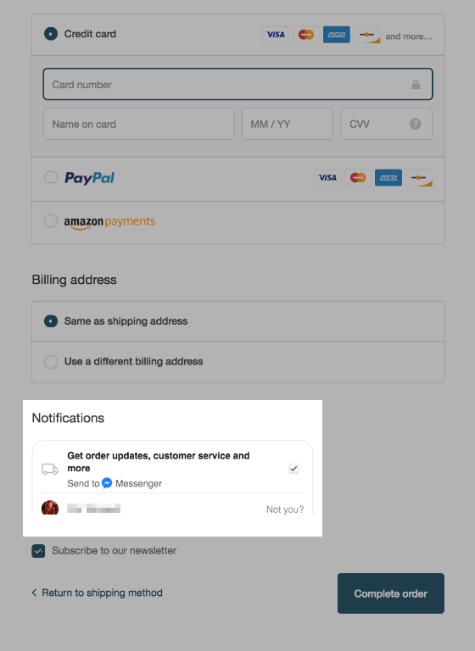 Once the channel is set up, customers on your Shopify store can choose to receive order notifications through Messenger when they are checking out. After customers complete their purchase, they will receive notifications about order confirmation and shipping updates. Customers can always choose to opt out of receiving these notifications via Messenger through their order status page. Note that the Messenger integrations is currently only available in English. In addition, for notifications to appear, the customer and shipping address must be located in the U.S., Canada, U.K., or Australia. Customers can connect with your store through your Facebook Page or through your Shopify store. When they do, they will get a welcome message in Messenger. Within this chat, customers can tap on pre-defined options to shop via Messenger or visit your Shopify store. 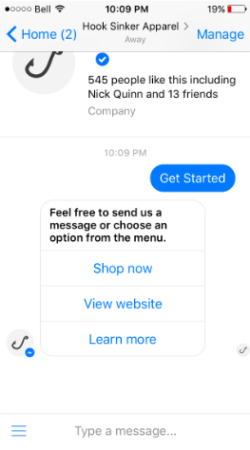 For each option customers select when they choose to shop within Messenger, they will be prompted with additional options. They will be able to see up to 10 collections, and up to 10 products within each collection to shop. For each product, customers will be able to select variations like choosing color and size. After they’ve made their selection, customers can check out within Messenger to complete their purchase. You can make it easier for customers to get in touch with you by enabling chat via Messenger. You can add a “Message Us” button on your store through the Messenger channel in your Shopify dashboard. You can select the placement, color, and size of the button as it will appear on each page of your store. Chatting with you via Messenger gives customers a familiar platform to have a conversation through. It also appears more personal than a standard support or customer service email. Facebook Messenger is used by roughly 1 in 7 people in the world every month. You can now connect your brand’s Facebook Page to your Shopify store in order to start selling directly through Messenger, allow customers to receive order notifications, and enable live chats with your customers. The Messenger is a free app by Shopify that lets you sell directly online. 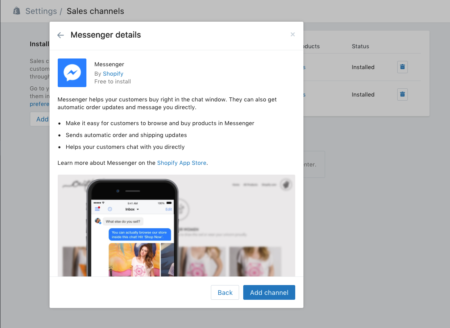 You can also enable the Messenger sales channel through your Shopify dashboard to connect with Facebook. What social platforms do you use to sell your Shopify products? Tell us what works for you in the comments below.